I have to start this review with a personal story I have about the author, designer extraordinaire: Mark D. Sikes. When I traveled to Florida and found little Arlo Ellington (my awesome Frenchie and cohort in all things) I lamented over the trials that may come with a small dog. I had been scared by the breeder, telling me to watch out for over-heating, and more. Knowing that Mark and partner Michael had the adorable HRH Lily, I shot an email off to Mark asking how he dealt with overheating of a Frenchie in California. Within hours, Mark had written me a personal email, congratulating me on Arlo, giving tips on parenting a Frenchie, and every confidence in the world that I would be a great pet parent without anything to worry about. Why does this matter to the book review? Well - during this time, unbeknownst to me and to most of us, Mark was feverishly working on multiple design projects, a book layout, upcoming furniture and fabric lines, a new clothing line, and store design for none other than Reese Witherspoon. With all of these things on his plate, he took the time to write me back a sweet and affirming email in the same day. 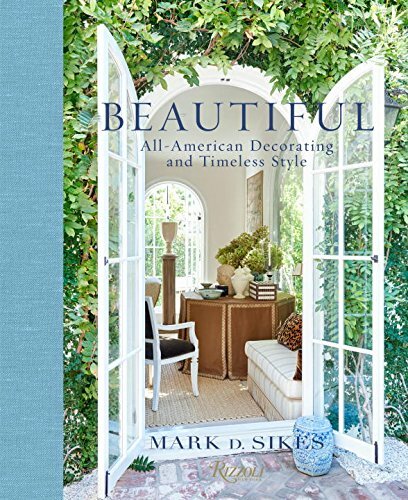 This warm, kind, humble, and beautiful man is the real deal, and the beauty in his new book, Beautiful: All American Decorating and Timeless Style is absolutely an authentic representation of everything Mark D. Sikes. The book showcases several projects, including his own home, separated into chapters based on Mark's favorite color stories. 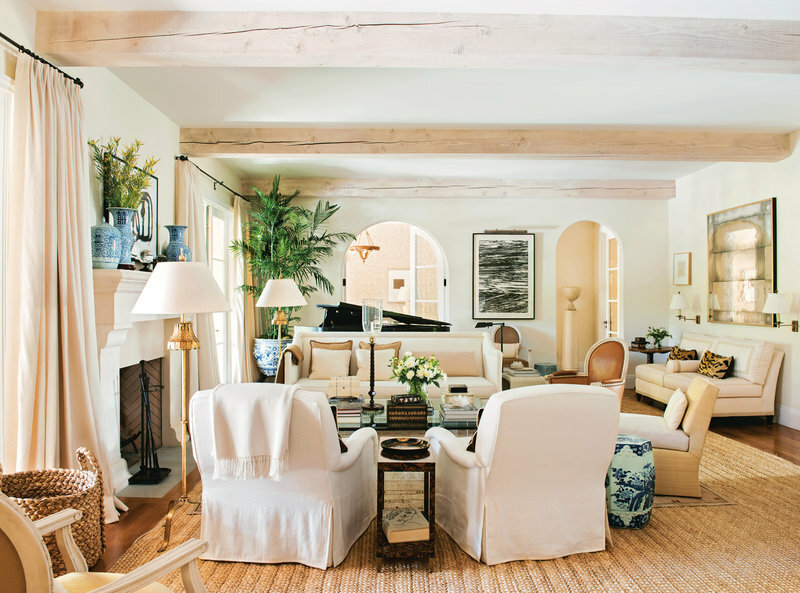 Instead of seeing the rooms of one house page after page, the entirety of his design work is showcased in chapters like: "Timeless Neutrals" and "Blue and White Forever". Eight chapters, and more than 250-pages of stunning photos by Amy Neunsinger, Beautiful is a book that you simply can't close. Mark has been showered with well-deserved publication. 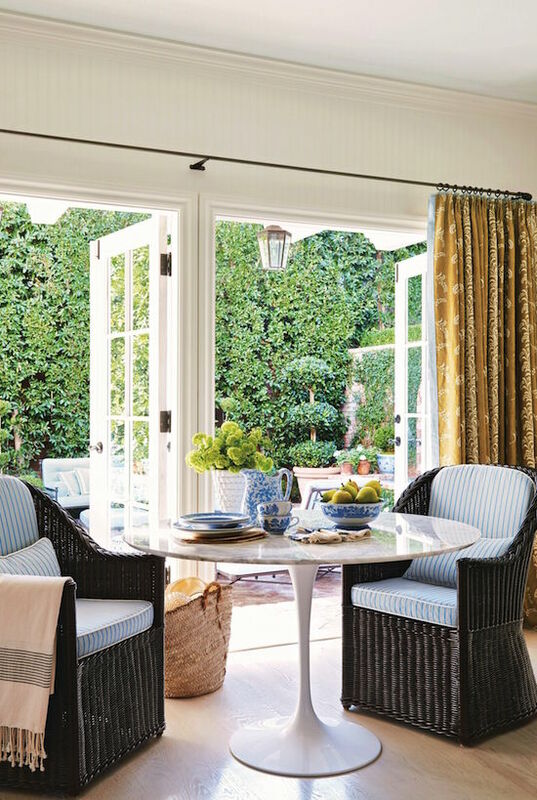 We have grown used to seeing many of his spaces in magazines like Veranda, House Beautiful, and Architectural Digest. Beautiful now gives us a further peek into these spaces, built by Mark's curatorial eye and flair, and a look into work that has yet to be published by the design mags. 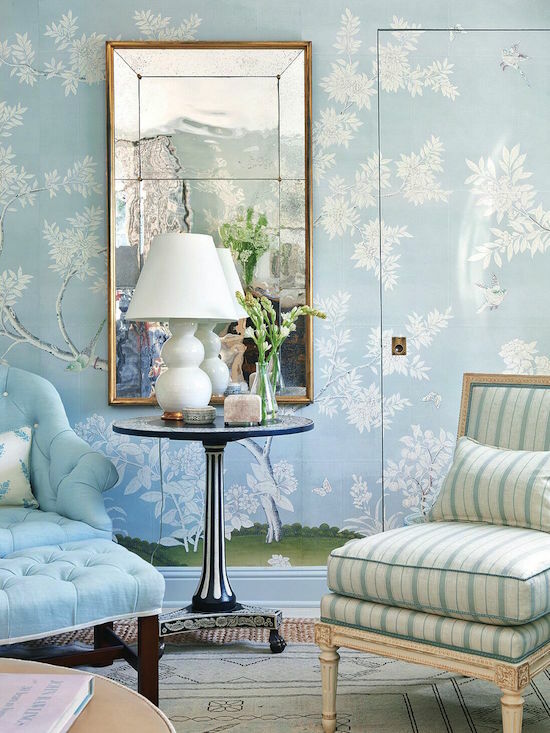 Anyone who has ever seen Mark's work, either from his blog, or his many published rooms in the shelter mags knows that no one does blue and white, quite like Mark, and the luxurious hand-painted Chinoiserie wallpapers by Gracie Studio that he uses have taunted all of us who share his love-affair with the high-end paper. 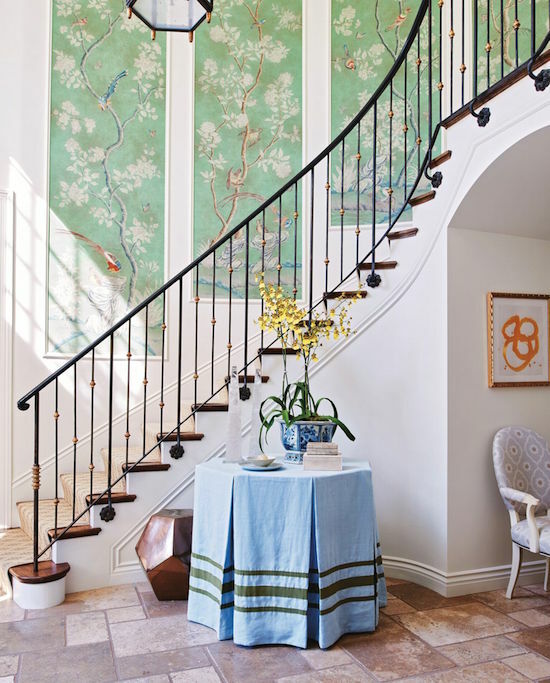 This foyer, in a previously unpublished Pacific Palisades home showcases four gorgeous framed panels, and one of his favorite color pairings, blue and green. Mark's master bedroom in the Hollywood Hills, showing a concealed closet door covered in Gracie wallpaper. 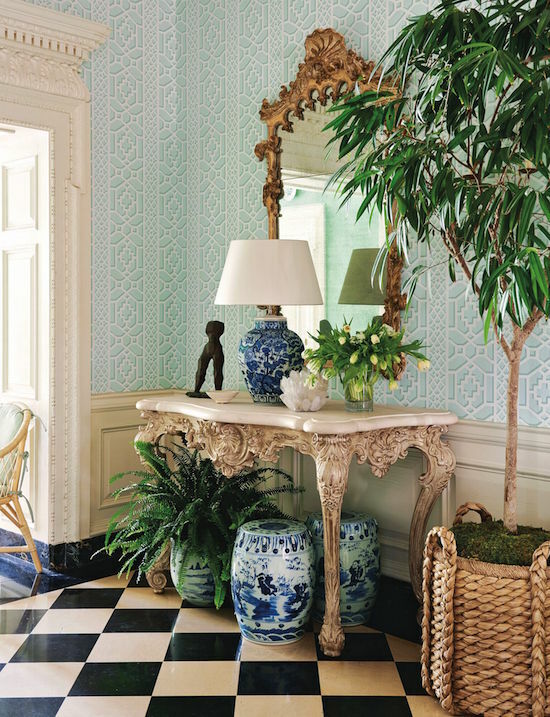 Most everyone probably remembers this room from the 2015 Greystone Showhouse where Mark brought the garden into the Grand Hall. Several stunning photos by Amy Neunsinger of this space anchor his "Garden Green" chapter. 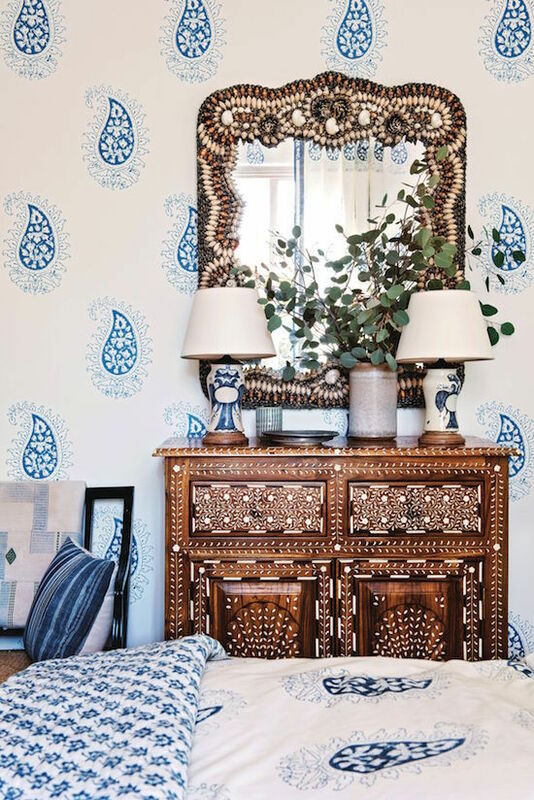 Mark used indigo printed textiles from Les Indiennes in this bedroom in Montecito. Pattern pairing fabric is something Mark is simply a genius at. His new line of fabric from Schumacher is going to be a huge hit, I'm sure of it! Both photos above from Mark's Hollywood Hills home, both showcasing the relaxed elegance of Mark's "Elegant California" aesthetic. 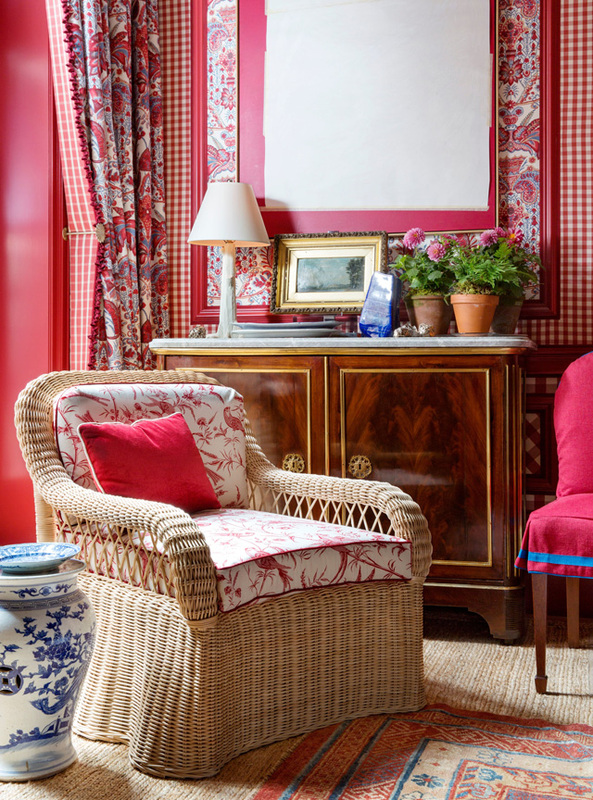 In his chapter "Red My Way" stunning photos of his room from the 2015 Kips Bay Showhouse take center stage. Just look at the stunning detail of the curtains, slipcovers, and upholstery. Mark is a master at the fine details of a space. 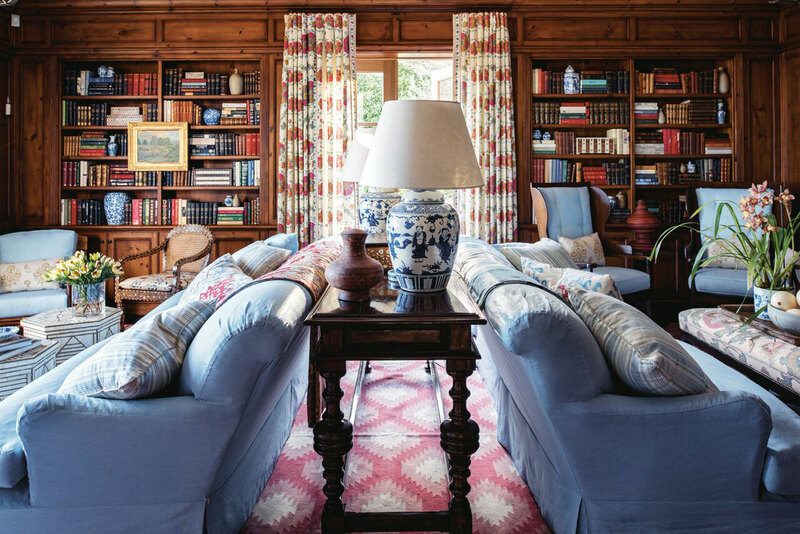 Mark count's this mahogany paneled library as "probably one of the most favorite rooms" he's designed. All of the furniture is slipcovered in china blue linen. My favorite room, no my favorite house in the book is this jaw dropping beauty, a play on the neutrals that Mark is famous for. This Pacific Palisades home has got to be my idea of a dream house. Beautiful is nothing short of perfection. 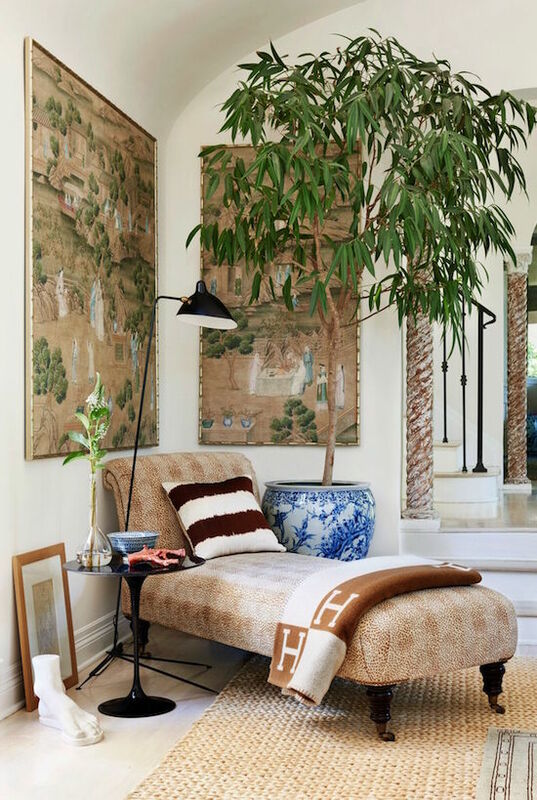 Mark D. Sikes is a design genius, and this book is proof positive that relaxed elegance is not only possible, it has been mastered, and lays in the 250+ pages of this book, waiting for you to be inspired. I couldn't be more proud to have a signed copy on my coffee table. It's definitely #topofthestack. Just bought my copy from your link. Thanks for a great review, Artie. These decors are brilliant . Lot of thanks for shared this here .